Deaths spark calls in Nepal for better warning systems - Integration Through Media ....! By Binaj Gurubacharya, KATHMANDU: The bodies of five South Korean climbers killed in a fierce storm last week on a mountain in Nepal were set to head home Tuesday amid calls to improve weather warning systems on Nepal’s mountains. 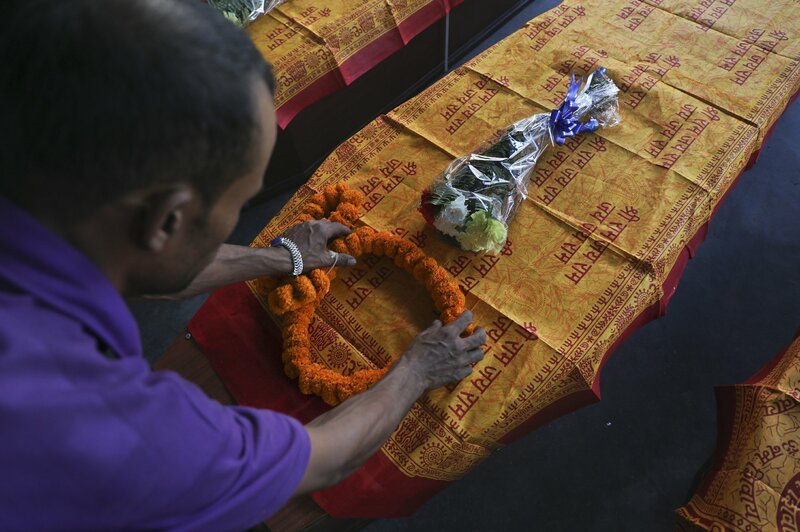 Mountaineers and officials gathered at Tribhuvan University Teaching Hospital in Kathmandu offering flowers and burning incense by the bodies, which were kept in wooden coffins. The bodies were driven to the airport and were set to be flown to Seoul, South Korea’s capital, later Tuesday. The five South Koreans and four Nepalese guides died when they were swept by a storm on Gurja Himal mountain’s base camp on Friday night. Rescuers only reached the area a day later and took two days to have their bodies recovered and brought back to Kathmandu, Nepal’s capital. Lama said there are some weather forecast systems in use, but those are all concentrated on Mount Everest, the world’s tallest peak. Gurja is not one of the region’s tallest or more popular peaks. The last time climbers were known to be on the mountain was eight years ago. “I am going take the initiative and demand with the government to install these weather warning systems on smaller mountains,” said parliament member Rajendra Prasad Gautam, who was at the hospital on Tuesday. “He was always looking to discover routes that have not been explored and try new things on the mountain,” said a Nepalese friend, Ang Dorje, who Kim had promised to meet after returning from the mountain. “He did not want to do what others did. He was a pure adventure seeker who loved the mountains and adventure,” said Loben Sherpa, who helped Kim during his many trips to Nepal’s mountains. It was the deadliest climbing disaster in Nepal since 2015, when 19 people were killed at Mount Everest base camp by an avalanche triggered by an earthquake that devastated the country. The previous year, an avalanche above Everest’s base camp killed 16 Nepalese Sherpa guides.